(DLG). 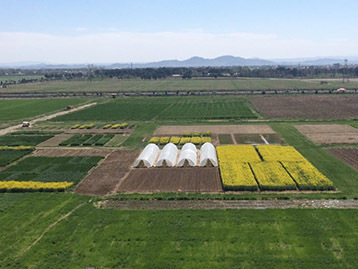 Presidential elections on the originally scheduled date have led to this date transfer – More than 20 exhibitors participate at the first edition International Field Days in Iran – 30 trial fields to show plant varieties and modern agricultural equipment. The first edition of the International Field Days Iran will be held from 10th to 12th May at Karaj, Iran. This new event is an implementation of the DLG Field Days concept that has already taken place in several European countries. Due to the excellent acceptance of the concept and a request by trade visitors, International Field Days will be carried out for the first time in Iran. The German-Iranian project team will pay particular attention to local demands to tailor the event for the region’s agricutural sector. Farmers will be provided with a platform for communication with cultivation consultants, manufacturers and distributors of seeds, fertilizers and plant protection products and services. More than 30 test fields have been made available for exhibitors to present their seeds, and latest developments in growing techniques and services to an interested audience. Agroplant, Bayer, KWS, NPZ, HOLMER and Syngenta have already confirmed their participation at the Field Days in Karaj. The strong presence of national and international producers clearly underlines the upward economic trend in Iran. Only a few test fields are still available. Interested companies may receive further information at IFWexpo Heidelberg GmbH and DLG International GmbH.